Lisbon has an array of attractions spread around in other parts of the city. 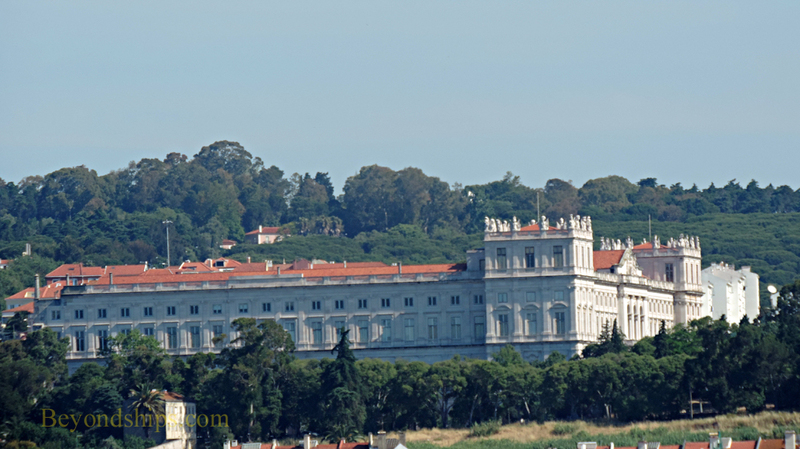 After the Earthquake of 1755, the Portuguese royal family decided to build a new residence in the Adjuda district. However, the project was delayed and work did not begin on the new residence until 1794. Work came to a halt when the royal family fled the country during the Napoleonic invasion in 1807. Even after the war, work progressed slowly so that the new royal palace did not become the official royal residence until 1861. The palace was nationalized and closed in 1910 when Portugal became a republic. However, in 1968, the palace, now known as the National Palace of Adjuda, was opened to the public. Restoration and conservation work have proceeded since then. Now two floors of this enormous neo-classical structure can be visited including the State Rooms.and the ground floor apartments. 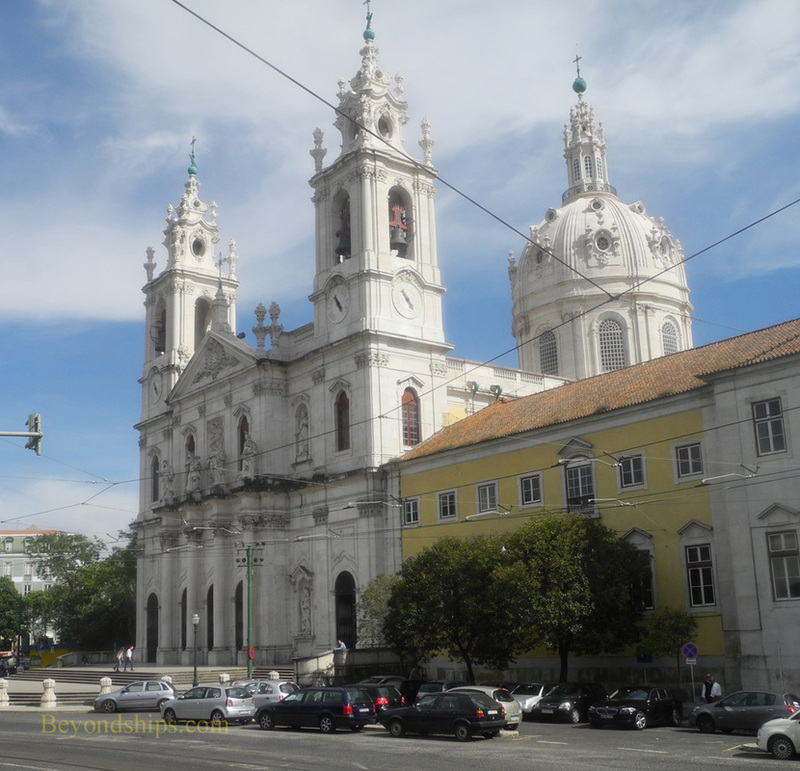 ​The Bascilica Estrela is in the Estela district. This large church was built in the late 18th century and was done in a mixture of baroque and neoclassical styles. Among its treasures are an altar piece painted by Pompeo Batroni. The dome is open to view and provides panoramic views over the city. Lisbon has many museums. The Ancient Art Museum, for example, is Portugal's national gallery. Housed in a nobleman's palace in the Laja district, the museum features European works by artists such as Bosch, Durer, Tiepolo and Van Dyck as well as works by Portuguese artists. 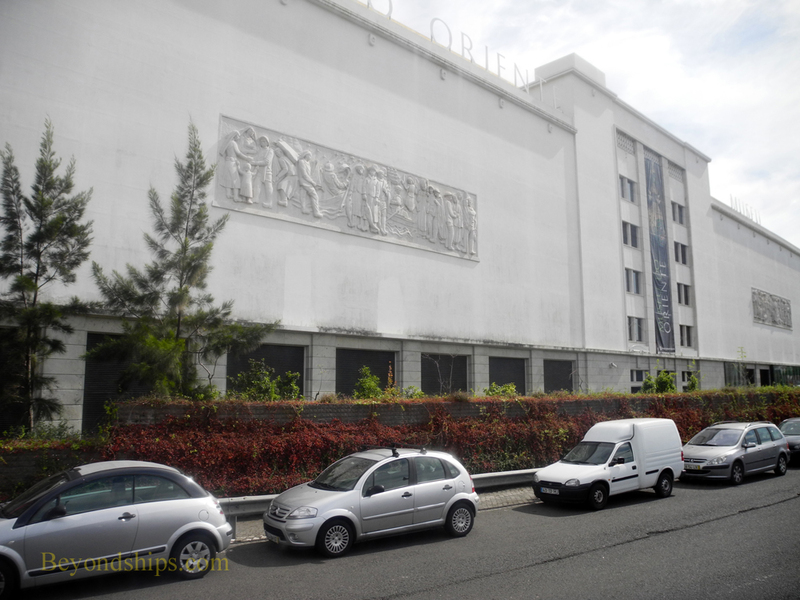 The Oriental Art Museum (right) housed in a converted industrial building in the Alcantara district focuses on the Portuguese presence in Asia. It also houses the Kwok On Collection of 13,000 pieces relating to performing arts in Asia. One of the most visible sights in Lisbon is Ponte 25 de Abril (25th of April bridge). 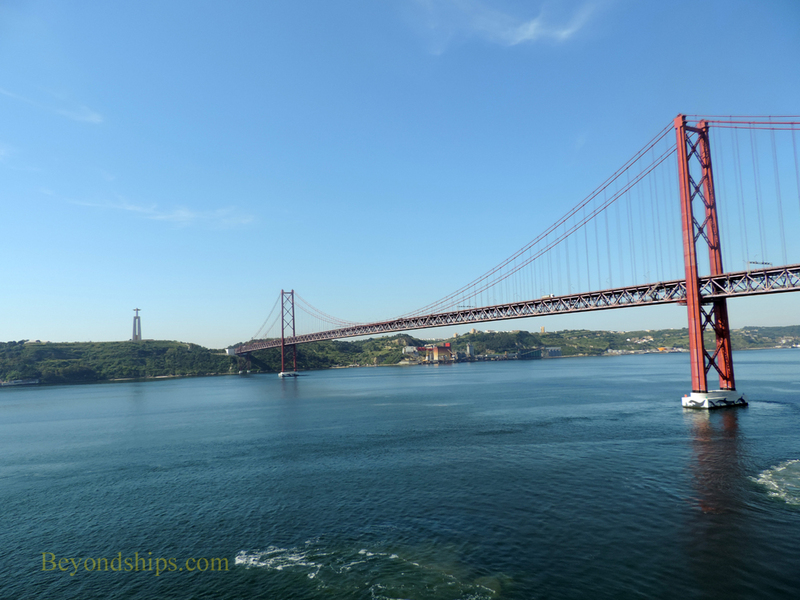 This 1.5 mile span over the Tagus River was built in the 1960s and has a span of 1.5 miles. Both automobiles and trains use this bridge. Its original name was Ponte Salazar in honor of the dictator who ruled Portugal when the bridge was built. The name was changed after the Carnation Revolution so as to commemorate the date that revolution began. Near where the bridge reaches the south side of the river is the Christ the King Monument. 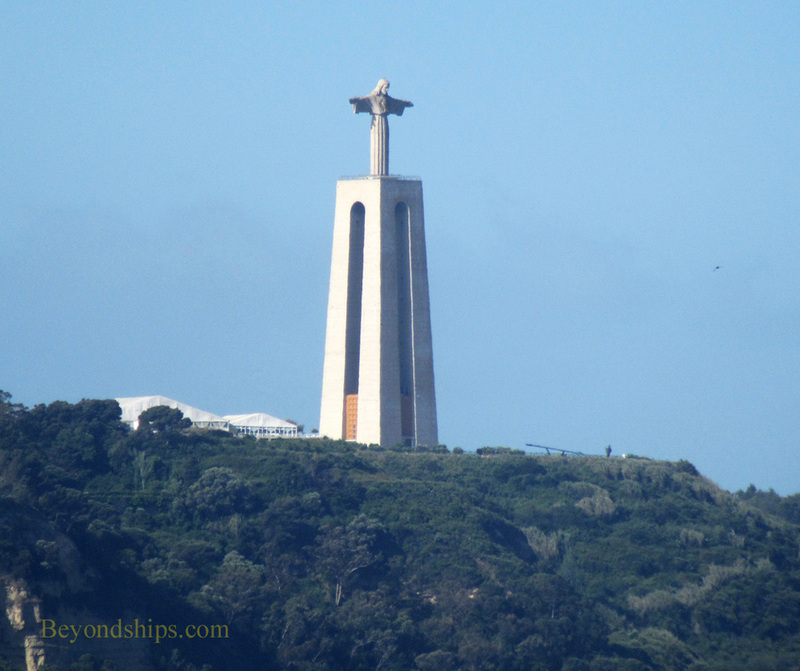 This 90 foot tall figure of Christ was built in 1959 as a thanksgiving to God for having spared Portugal from direct involvement in World War II. 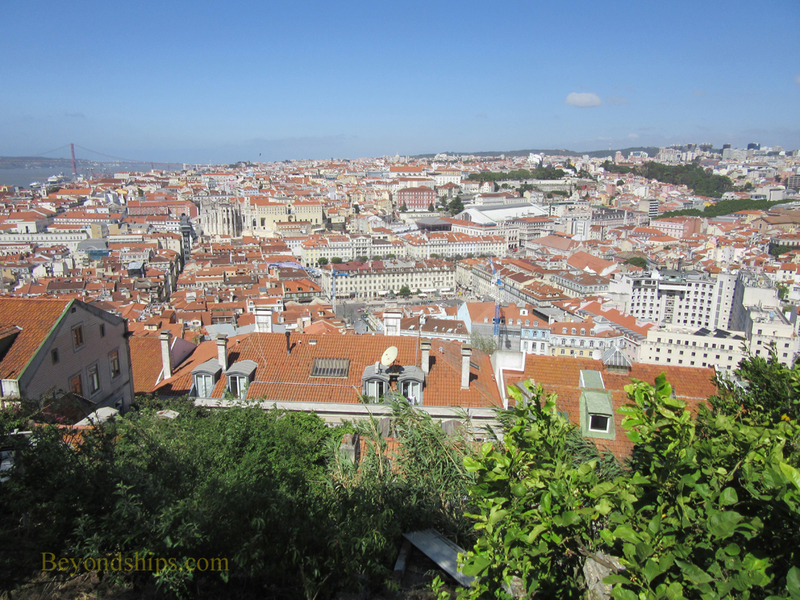 Visitors are treated to panoramic views of Lisbon from the top of the 270 foot pedestal.